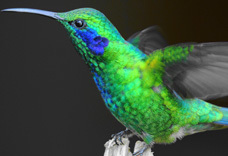 Tours, Quetzal Tour, San Gerardo de Dota Tours, Costa Rica hotel, eco friendly hotel, birdwatching, quetzal tour. Costa Rican best tours: quetzal bird watching tour, hiking, dantica private forest reserve, waterfall, trails, organic garden, organic restaurant, full eco experience in costa rica. Guided tours. 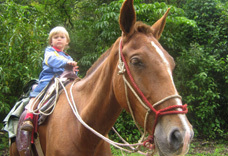 Children until 6 years free, 6-12 years half price, with the exception of the horseback tour. 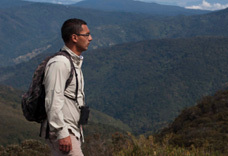 TIP: please wear clothes without bright colours when you make the quetzal or bird watching tour, in order to minimize the impact. Does not include 15,- USD admission fee per person included to enter the Los Quetzales National Park (this fee is not charged at the moment). Leave for an early morning walk to see the Resplendent Quetzal (Pharomachrus mocinno), the sacred bird of the Aztec and Maya Cultures. 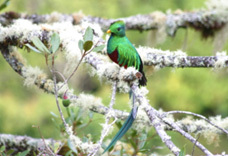 San Gerardo de Dota is known to be the best place in Costa Rica to see the Quetzal, with a yearly success rate of over 95% with our experienced guide. During this tour we give special attention to our ´´wild avocado trail´´, where many avocado species can be found, native to this forest and the favourite food of the resplendent quetzal. 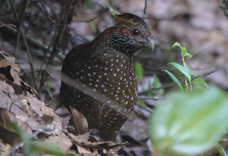 Our reserve is famous for bird species such as spotted wood-quail (Odontophorus guttatus), buffy-crowned wood-partridge (Dendrortyx leucophrys) and the buffy tuftedcheek (Pseudocolaptes lawrencii). Enjoy the trails of our private Forest Reserve along the ´´Ojo the Agua´´ river, one of the clearest rivers in Central America, and walk beneath ancient oak trees, learning about the many plant species such as bromeliads, orchids, ferns and mosses. Traverse natural clearings and secondary and primary oak forest to give you a better insight in how regeneration works. 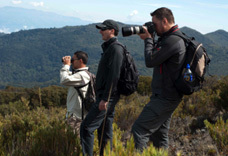 Explore the valley of San Gerardo de Dota and see the birds that are typical for the upper montane cloud forest, such as the acorn woodpecker (Melanerpes formicivorus), black guan (Chamaepetes unicolor), golden-browed chlorophonia (Chlorophonia callophrys) and volcano hummingbird (Selasphorus flammula). The valley of San Gerardo is a wonderful place to observe birds; it is catalogued in the famous book: ´´Fifty place to go birding before you die´´. 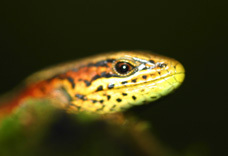 Of the more than 150 species that are found in this valley, over 30% are endemic, such as the long tailed silky-flycatcher (Ptilogonys caudatus), fiery-throated hummingbird (Panterpe insignis), black-faced solitaire (Myadestes melanops) and collared redstart (Myioborus torquatus). 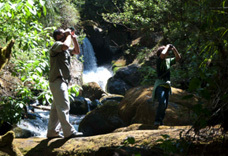 This attractive birding tour takes you to the beautiful waterfalls of the Savegre river, the first one leads you over a bridge into a small cave to become part of the waterfall, the second one is one kilometer further away, surrounded by lush forest. 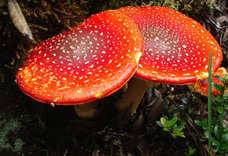 Because you are at lower altitudes this forest is very different from the other forests you can visit in the valley. 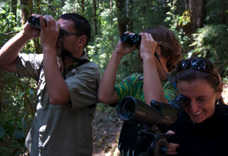 This tour leads you along the Los Robles trail in the Savegre Forest Reserve through primary forest, where many bird species can be found, and especially famous to see the emerald toucanet (Aulacorhynchus prasinus) and the collared trogon (Trogon collaris). Visit the second highest peak in Costa Rica (3480 meters asl) with its unique, mainly endemic Páramo vegetation and with a beautiful view of the Pacific coast and the Turrialba, Irazu, Barva y Poas volcanoes. Walk down the second highest peak in Costa Rica (3491 meters asl) into the forest of the San Gerardo de Dota valley. Ascending through 2 different ecosystems and 4 different vegetation zones, this is the most complete tour we offer and it gives you a perfect insight in the biodiversity of this region. 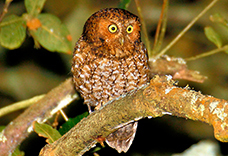 During this tour you look for birds that are active at night, such as owls and nightjars, but this tour gives you also the posibility to know the cloud forest by night and learn about the behaviour of other animals. Make an adventurous ride through rivers and lush forest to the waterfalls at the end of the San Gerardo de Dota valley.